Your diagnosis doesn’t have to cut you off from the life you still want to enjoy. At Mother’s Touch, we make it our mission to keep you as connected as possible. If you’ve received a life-limiting diagnosis, you may find that you suddenly feel isolated in your illness. It can sometimes feel as if you have to leave the life you knew behind. For both you and members of your family, this unexpected news may quite naturally seem overwhelming and disorienting. What you need to know first and foremost is that you and your family are not alone. There are experienced, compassionate caregivers at Mother’s Touch who are ready to listen to you and respond with the professional care you need. Mother’s Touch approaches hospice care differently. We want to help you stay connected to the life you want to live to the fullest extent that it is possible for you to do so. We don’t just settle for seeing to your comfort. We surround you with a team of specialists who address your care holistically from nutrition to medicine to physical therapy. There’s nothing more personal than the journey that is your life. Mother’s Touch founders Mike and Patty Nicholas have a deep respect for their patients built on an understanding that each one of us experiences our diagnosis in our own, individual way. 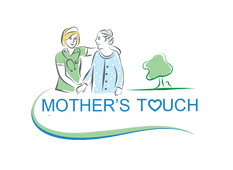 They have built their careers in personal nursing and hospice based on a shared desire to make a difference in the lives of patients who face the most challenging times of their lives. Mike and Patty also have a lot of experience building the bridges of care that keep patients connected with their lives. They know how to create a customized plan of care that gives you every advantage to cope with your symptoms effectively. They know how to assemble the right team of caregivers around you, all of whom are equally dedicated to sustaining your comfort and well-being. Our patients are our focus at Mother’s Touch. We are here to listen, care and serve. THE STRAIGHTFORWARD TRUTH ABOUT HOSPICE IS IT’S FREE. IT’S ALSO FREEING. That’s right. There’s absolutely no cost to you for any hospice care, supplies and many medications. Mother’s Touch arranges for any and everything you need and is reimbursed for the cost by Medicare, Medicaid, most private insurance or, if you are veteran, by the Veteran’s Administration. A lot of people think that hospice is a facility. It’s actually a special field of nursing care that can be delivered wherever you call home. Trust is everything in the relationship between you and your hospice provider. At Mother’s Touch, we understand how difficult it can be to extend that trust. So we work hard to earn it. Our team gets to know you as both a patient and a person. To the extent that you both prefer, we can either coordinate our care with your physician or a doctor who works with us. We can even help with family issues, but only at your request. In short, you can rely on us to handle as much of everything as you want. So you’re free to live your life as fully as you can. "In our times of greatest need, we need the greatest comfort. We strive to deliver the kind of care that takes comfort to another level, conveying the reassurance you can only get from someone you trust. That’s why our name is Mother’s Touch – to give us a gold standard to live up to." We would be honored to have the opportunity to meet with you and your family to discuss your needs.